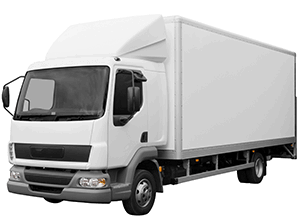 On special $89/hour- 6 Ton Truck with two additional professional staff. 3-4 Bedroom House? On special $99/hour- 8 Ton Truck with two additional professional staff. House full of furniture? Needless to say, moving houses or offices is one of the trickiest tasks for most people. Right from planning the whole relocation process to packing to transporting the belongings to the new location, there’s lots of things that one needs to cater to. Precisely for this reason, our services can come in extremely handy to you. Being one of the most reputed movers operating in Wangara, Warwick, Joondalup and Osborne Park, we have been helping people move houses and offices with consummate ease for several years now. Perth cheap movers believe in providing fast and reliable service to our customers with professional quality. Our team members are very friendly and easy to get along with. We are one of the most trusted removal/movers company in WA. We are happy to answer all of your questions with no obligations. We are renowned for our cheap removals services in Perth. Perth cheap movers help our customers no matter what the situation is. One call and we could be at your door steps in an hour. To make you comfort we have friendly staff members, who will respect you and your place by provide you premium service. Please provide Perth cheap movers your information in message section, such as furniture moving for 3 bed room house or if you have any specific requirements. We will get back to you very soon. Please calculate your distance by clicking on the Travel Calculator.